REGISTER for Short-Term Mission ConneXion! We want to help prepare churches and organizations to send teams that will be remembered for assisting long-term missionaries, equipping local churches, and expanding the kingdom of God through strategic planning, preparation, and implementation. View the complete STM Conference schedule here! Register for SIW SOE Pre-Conference! 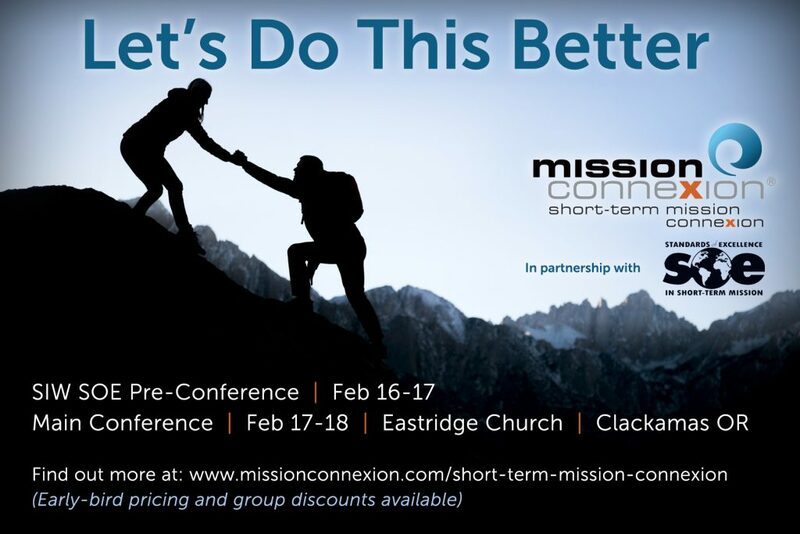 Register for Short-Term Mission Conference! Cost includes snacks, lunch on Saturday, and workshop materials.